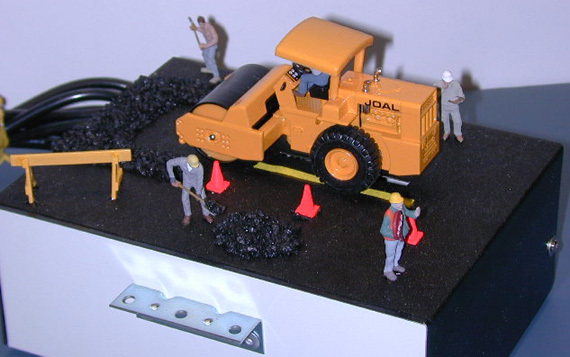 This animation depicts a scene of a road crew resurfacing the highway. An 'O' Scale asphalt roller moves forward and back as it "flattens" the blacktop. Construction Crew figures accentuate the action. Fully landscaped as shown with die-cast construction vehicle. Easy installation.